Today I have another Pure Ice Crackle & Ice Duo set to share with you. This one contains a gold glitter numbered 582CP and a black crackle named Strobe Light. This was my first time layering a crackle over a glitter and I love it. As always, just imagine this 100 times more sparkly in real life. I just keep wiggling my fingers and staring at the sparkle. Strobe Light crackled quickly and evenly. I had no problems with application at all. Have you tried crackles over glitter? What do you think of this combination? I love the base shade! 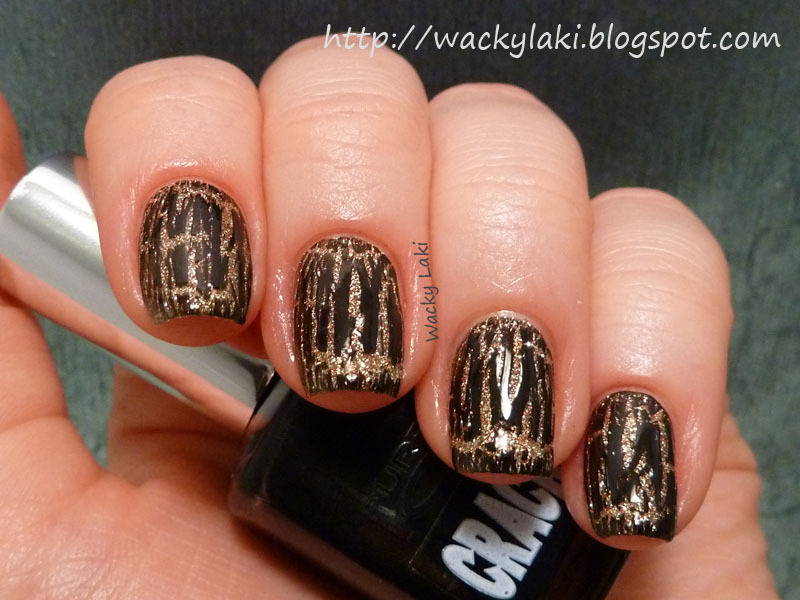 While I personally am so over the crackle (or maybe I was never really even ON the crackle)... I LOVE the base and really, you can make ANYTHING look so elegant! 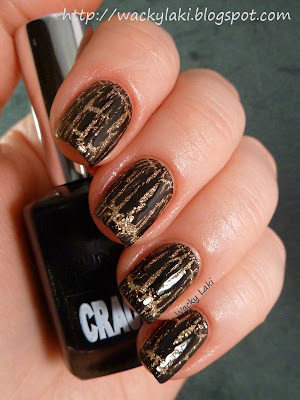 Even crackle! Hugs to you and your gorgeous nails! 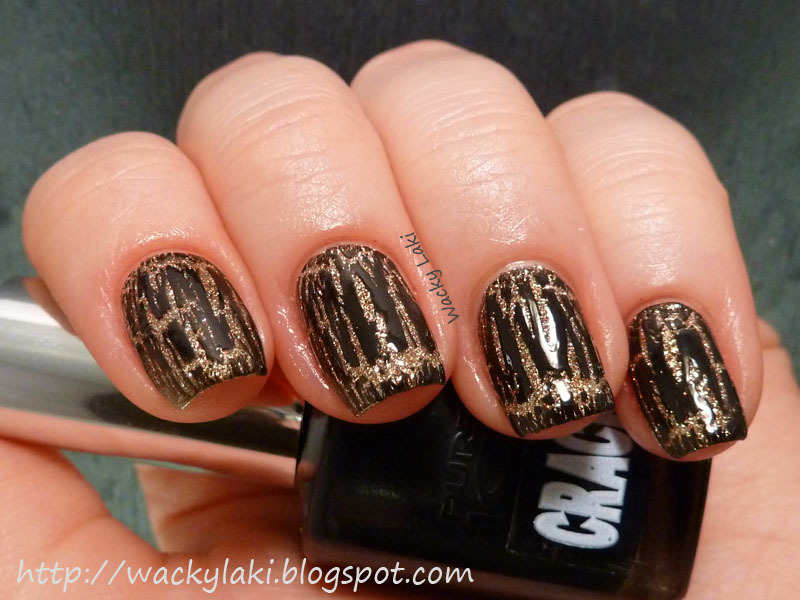 I love the combination glitter/crackle. (even though crackle is getting old because all of a sudden EVERYONE wears it). The base colour is stunning!